Guns N' Roses is an American hard rock band from Los Angeles formed in 1985. 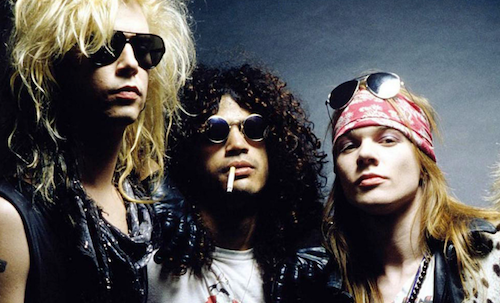 The classic lineup, as signed to Geffen Records in 1986, consisted of vocalist Axl Rose, lead guitarist Slash, rhythm guitarist Izzy Stradlin, bassist Duff McKagan, and drummer Steven Adler. The current lineup consists of Rose, Slash, McKagan, keyboardists Dizzy Reed and Melissa Reese, guitarist Richard Fortus and drummer Frank Ferrer.